Aereo backer Barry Diller has announced that the online television service will expand to most major US cities by the end of 2013. The marketing plan was made public yesterday during an interview with Bloomberg Television following a favorable court ruling that tried to impose an injunction against the service. Aereo came under fire almost immediately when their plans were made public earlier this year. The company intends to transmit over-the-air programming online and charge $12 per month for a DVR-like service that can be accessed through their HTML5-based website. The latter part is important because it means a bevy of devices including Android tablets and iOS devices could connect and watch live streaming television. Television networks are in the process of drafting a copyright lawsuit because they feel they are owed “retransmission consent fees” while Diller says it’s a consumer’s right to receive broadcast over the air signals. 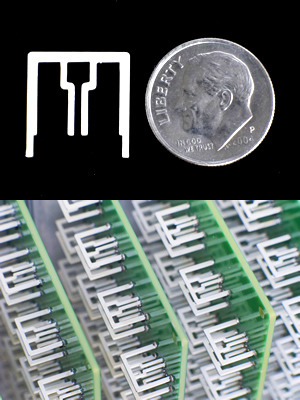 Aereo believes they have found a loophole in the legal system – antennas. They have already erected large antenna arrays throughout Brooklyn, New York with each array housing “thousands upon thousands” of micro-antennas. The idea is to make sure that there is an antenna available for each subscriber at any given time. Diller believes that Aereo will eventually act as a wedge that will force the TV industry to ditch the bundle plans and provide a la carte programming. It’s still too early to tell how this might turn out but if Aereo is able to get past the copyright lawsuit unscathed, the TV industry could be headed into uncharted waters.